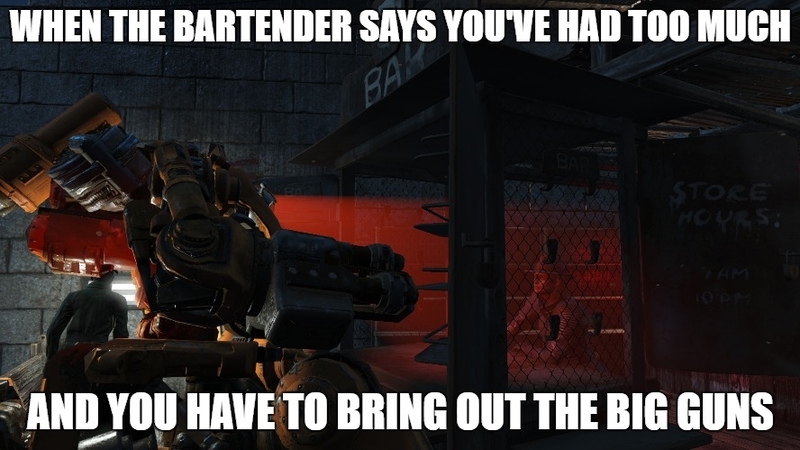 There’s always that one bartender who denies service to anyone with even the most miniscule buzz. Okay, maybe that’s a good thing some times. Wish I had those guns tho’. For stuff.